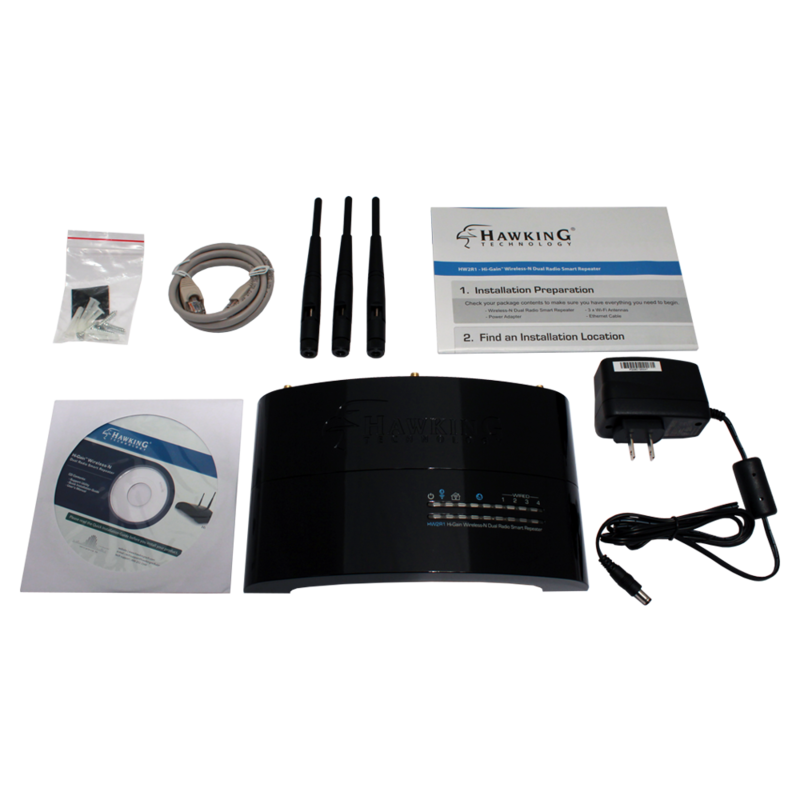 Click on the Product Guide to see which Hawking Technologies Wi-Fi Router is right for you. How come I do not see my network files when I'm connected to the HW2R1? The HW2R1 by default creates an isolated network. You will see two networks after it is configured, your original wireless network and the HW2R1. This is by default for security reasons, especially if you are connecting to an open/public network. 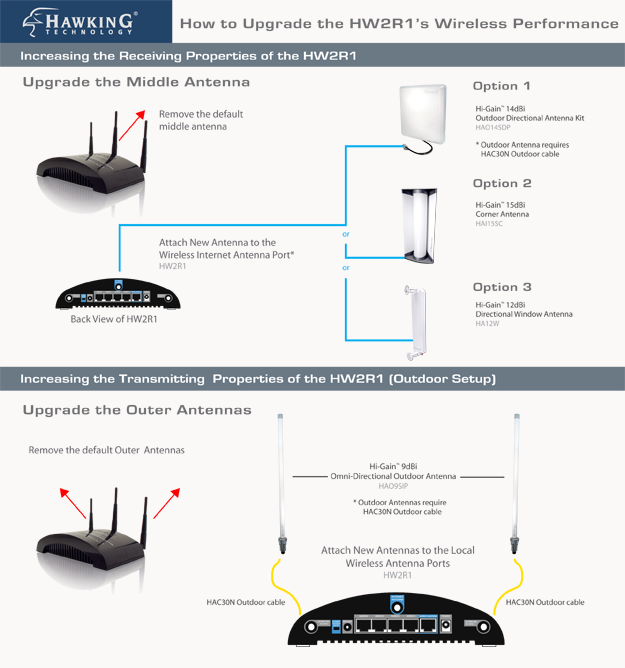 If you wish the two wireless signals to be on one network, during the quick setup, there is a check box for bridging/passthrough mode. Please check this box and go thorugh the setup process. Then restart your system. When you connect to the HW2R1, you should not be on the same network as your original network. 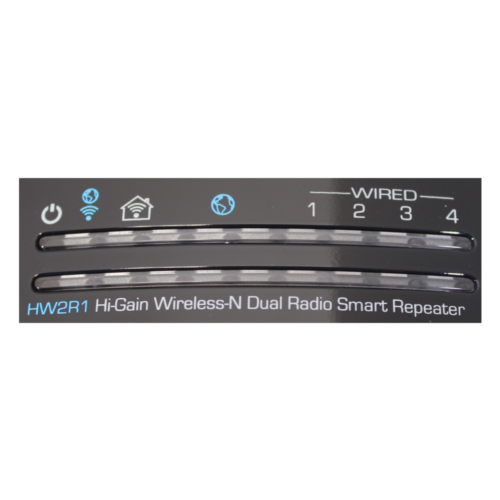 During the setup, I notice that the HW2R1 has it's own wireless name. Can I make it the same as my original network? 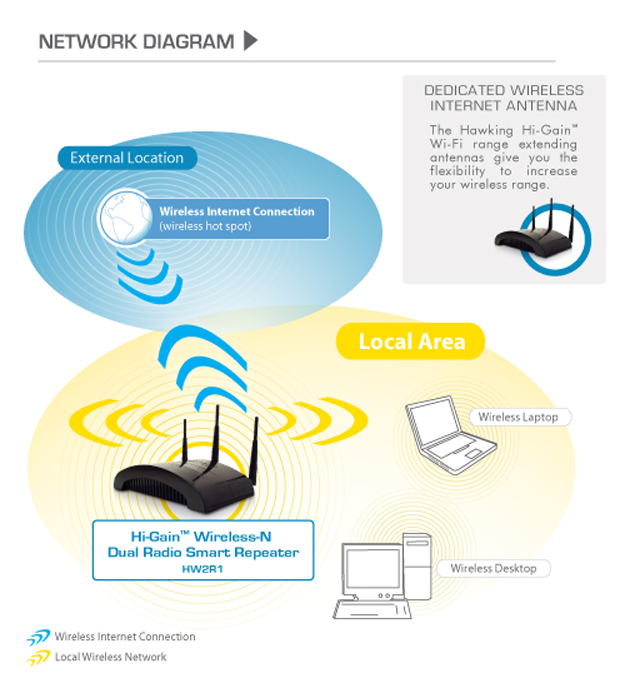 No, the HW2R1 requires that its own wireless name (SSID) be different from the wireless name it is repeating. There are 3 antennas on the back of the HW2R1. What are their functions? Yes, go to our www.gohawking.com store and you can find a replacement. What’s the difference between Hawking’s Smart repeater and Range Extender? 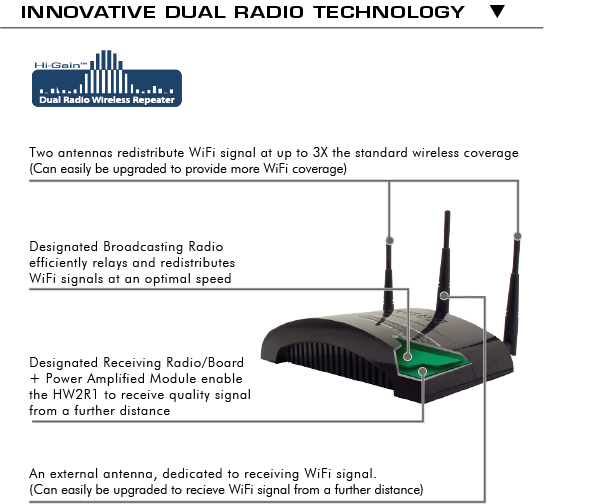 Smart Repeater is engineered with two Wi-Fi radios (Dual-Radio Technology, one dedicated to receiving and another to broadcasting signals. 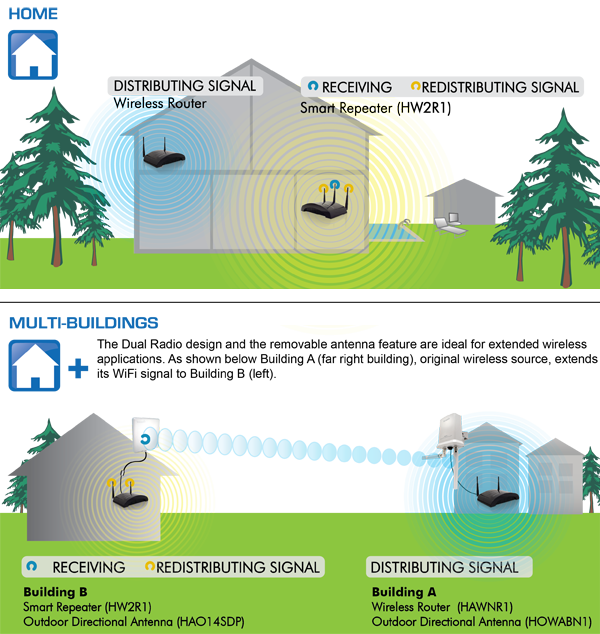 With dedicated receiving and broadcasting radios, the Smart Repeater can optimize your receiving distance while efficiently delivers repeated signal locally. 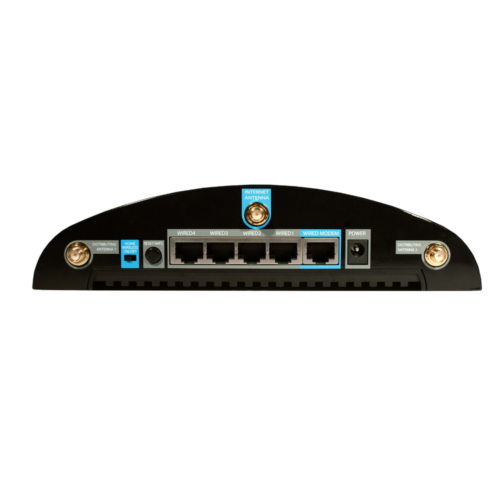 The smart repeater also has firewall and full router features. 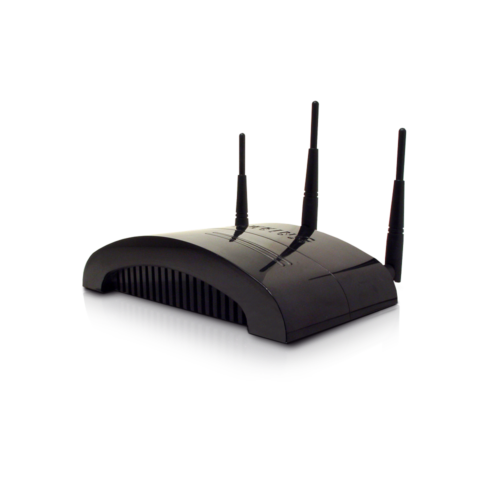 It protects your network and computer data while sharing a Wi-Fi Hotspot. 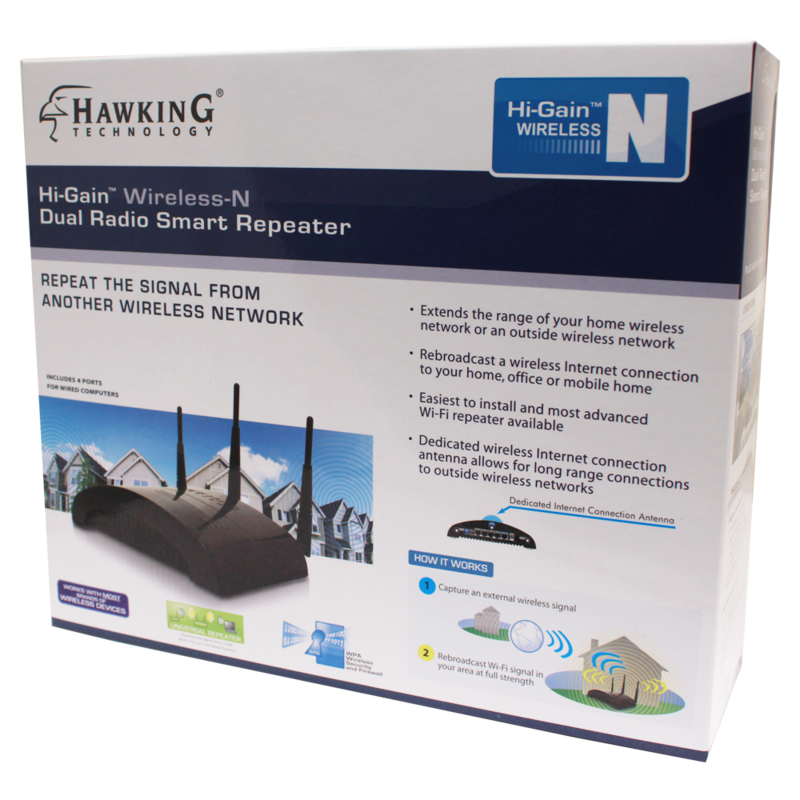 With the Smart Repeater, it creates a new wireless network from an existing one, while the Range Extender becomes a larger part of your existing network. All computers and devices will be part of one network. All your files, such as music and videos can be shared easily. On some of the newer extenders, you can set them up with seamless roaming, allow all Wi-Fi devices to connect to one network name.